The new VHX Systems fit directly into the stock instrument bezel of a 1962-84 Toyota FJ40 without modification. Fully lit needles, backlit faces, and highly visible LCD message centers are a few of the things that you can see which set the VHX Series apart from yesterday’s traditional approach to instrumentation. A few of the features which you don’t normally see are the micro-controlled precision stepper motors, solid state sensors for unparalleled accuracy, and user-customizable display feedback, all supported by an unrivaled limited lifetime warranty which has become the standard for Dakota Digital instrumentation systems . 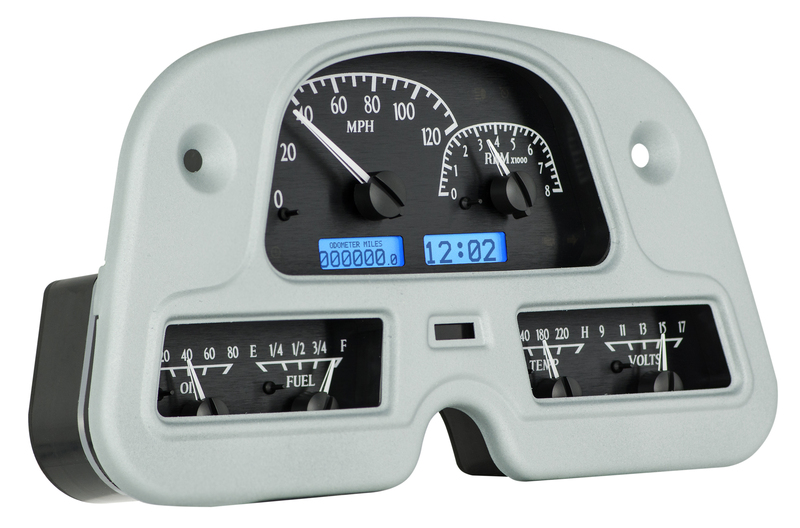 Cruiser Solutions worked directly with Dakota Digital to provide them with the initial bezels for this unique gauge cluster! *Fits factory bezel, NOT included.